After a recent trip down to Bali..i had decided to make a few new boards to test out.Fortunately i had stumbled upon the chance to to go..unlike past occasions where i'm always stuck in the shaping bay and making boards for everyone going on some exotic surf trip. Well seeing as you can only travel with a limited number of boards now..i had made the "Raptor" a few days prior to leaving..along with a few other new test models.Paddling out on this board..well let's just say..you know when a board just feels right.Needless to say..2 weeks in Bali was just perfect.I surfed my brains out and definately learned a few traits from each new model.The Raptor surpassed every expectation i had,especially after upgrading to a slightly larger fin combo to accomodate the extra width across the tail area.Definately a good all round travel board as it was intended to be.It handled the small days to a couple of feet overhead..no problem. This is one board that will always be in my travel quiver from now on...speaking of travel..Sumatra is sounding mighty fine ..and i can definately see that in the not too distant months from now. 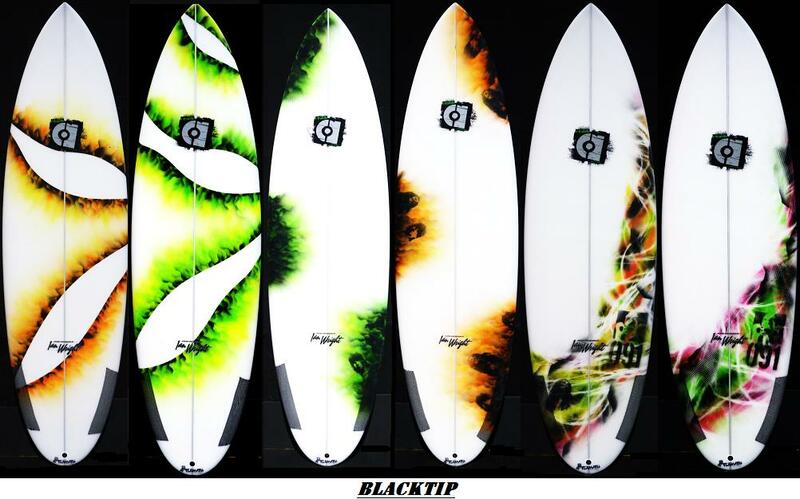 Live to surf..and surf to live..but most of all..be respectful..and "Ride it like you just stole your last wave"!!! 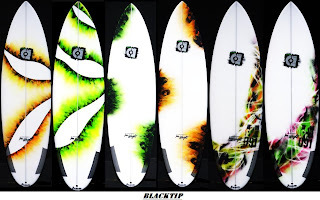 The Blacktip fanbase has been steadily growing to become one of the most sought after hybrids in the Aftermath lineup.The fun factor that this board generates is measured with endless smiles after every wave.